Founded in 1980, Tesoro Electronics has been producing high quality metal detectors for around 30 years and while many detectors are now manufactured overseas, Tesoro is still making their metal detectors at their facility in Arizona. 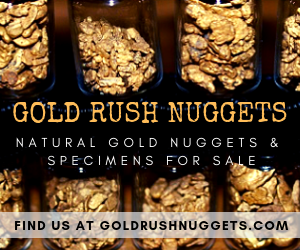 Most of their detectors are marketed toward coin and relic hunters, but one of the metal detectors that they designed is specifically marketed to gold nugget hunters. The Tesoro Lobo SuperTRAQ which was released into the market back in 1997, and although it will detect all types of metal, it’s primary purpose is to find gold nuggets. The SuperTRAQ also stands out in detecting small gold materials in mineralized conditions that are frequently found in the Southwest. All the controls of the SuperTRAQ are on the front panel, so it is easy to adjust according to the conditions in the field. There are five controls the first being the soil mode, which includes alkali (wet sand beaches), normal and black sand. The next control is the threshold, which is used to set the constant audio level or the ‘hum’ noise while detecting. For most prospectors, this should be set lightly so the detectorist can hear just a very small noise. The mode selection switch includes the pinpoint mode, all-metal and discriminate mode. 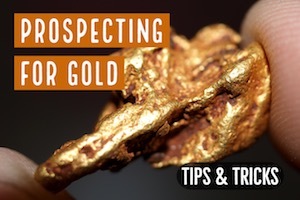 Usually, the normal mode while prospecting is the all-metal position. 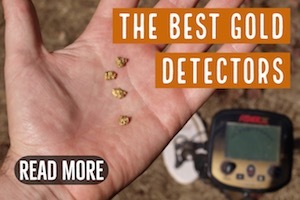 This is the most sensitive setting and will allow you to find the smallest gold nuggets possible, which are often missed by other metal detectors that use larger coils like the Minelab pulse induction machines. The pinpoint mode is useful when detecting any potential targets and the discriminate mode is useful for eliminating certain type of metals. The SuperTRAQ tracks ground automatically when in the all-metal mode and when in the discriminate mode, the automatic ground is disabled and instead uses a pre-set ground rejection. The sensitivity mode is used to vary the detector’s level of sensitivity. This mode affects the size of the metals found, how it performs in highly mineralized soil and also the overall depth penetration. Ideally this setting will be as high as possible to increase its sensitivity to gold, but mineralized ground will limit how high you can set the sensitivity. The last mode is the discrimination mode, which allows the detector to accept or reject different types of metals. This is generally not recommended for gold prospecting, but in some particularly trashy locations it may be necessary to eliminate some of the ferrous trash targets that you will encounter. One of the main advantages of the SuperTRAQ is that it detects any changes in the mineral content of the soil and automatically ground balances itself, which in turn helps in maintaining a smooth and steady threshold. The sensitivity can be varied depending on the ground conditions. Generally, from light to moderately mineralized ground, one can set the sensitivity level to up to 10. In quiet grounds (less mineralized like parks), a high sensitivity level can help in improving the signal from deeply buried metals. In highly mineralized ground, noises from the minerals covers up the noise made from the targets, therefore a lower sensitivity method is mostly preferred for these grounds. Grounds that have hot rock, the soil mode can be in the alkali mode, which allows the SuperTRAQ to operate in a wider range of mineral conditions. Alkali mode is very helpful in minimizing the noises from the hot rocks. Furthermore, alkali mode rejects any kind of small metal targets. The black sand mode also handles grounds (with hot rocks) extremely easily, nonetheless, it greatly reduces the response received from the objects. Overall, the Tesoro Lobo SuperTRAQ has great sensitivity and is very easy to operate. Although this detector is nearly 20 years old now, it is still a favorite among many gold nugget hunters. The ease of operation allows the SuperTRAQ to be used by beginners and experience detectorists alike. This detector uses VLF technology and operates at 17.8 kHz, which means that it is particularly good at detecting smaller nuggets and specimens at relatively shallow depths. It will also detect larger nuggets at depth, but it is primarily best at detecting shallow bedrocks areas were small nuggets often get trapped down in the cracks. It comes with a 10” elliptical coil, which is a nice size for ground coverage while still providing good sensitivity. It also maneuvers well in tight spaces between rocks and bushes. 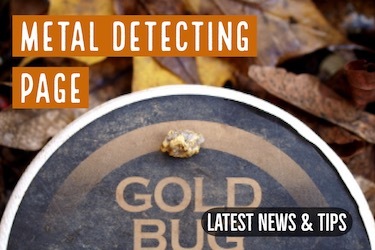 This detector has been on the market for years, and it has established itself as one of the better gold detectors out there for small gold. The SuperTRAQ is in the same class as the Fisher Gold Bug Pro, Garrett AT Gold, White’s Goldmaster GMT , Nokta Fors Gold, and many other VLF gold detectors in a similar price range. Each of these are high quality gold detectors that each have their own fan following, and the SuperTRAQ is no exception. 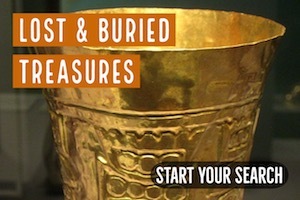 I would not hesitate to recommend this detector to someone who needed a high quality gold-specific detector. If you are looking for a multi-purpose type of metal detector then this isn’t what you want, and I would instead recommend something like a White’s MXT or Minelab Xterra 705. However, if you are looking for a sensitive gold nugget detector for hunting dry washes and shallow bedrock for gold nuggets, the SuperTRAQ will not let you down.